Primary classes are vibrant with stress on communication. 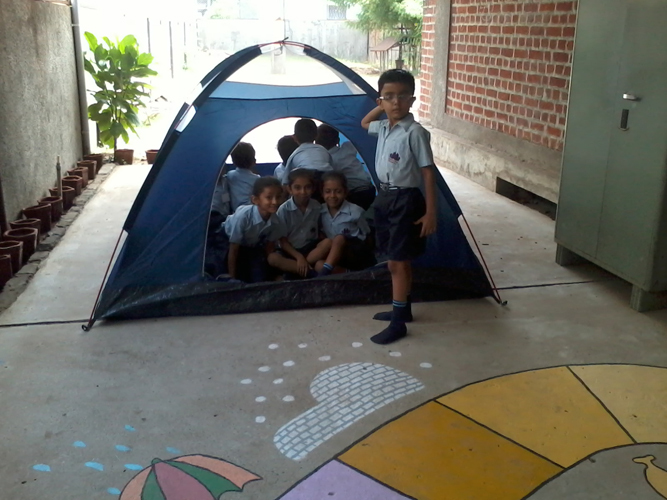 Regular talk time, visit to junior library and junior laboratory, activities on the school lawn is the way students spend time apart from classroom learning of English, Mathematics, Environment Science and Hindi. They also dabble their hand at drawing and try out their musical talent. No formal examination, and continuous comprehensive evaluation enable children to learn in stress free environment.Regular parent teacher meetings and the feedback from the teachers make parents aware of their ward's progress. All the classrooms are equipped with Smart Boards where the students get to learn through audio visuals. It is indeed a smart solution for the teachers too.